This white paper, available free-of-charge, provides valuable insights on why many college students don't purchase their required course materials and are turning away from the school-sanctioned bookstore. Our new white paper, Why Students Are Leaving The College Bookstore, was released today and is now available for download. Find out how other institutions are transforming their college bookstores into a best-in-class student service and seeing significant improvements in textbook affordability, student satisfaction, and bookstore utilization - even as student demands for accessibility, convenience, and affordability accelerate. According to research results highlighted in the 2015 Survey of College Presidents, Provosts and CAOs on the Future of Bookstore Services and Textbook Delivery White Paper, creating a formalized textbook affordability program is the key to unlocking student and faculty satisfaction. One of the most important insights from our 2015 Survey of College Presidents, Provosts and CAOs on the Future of Bookstore Services and Textbook Delivery is that having a formal program to help faculty select high-quality, low-cost course materials directly correlates with higher student and faculty satisfaction. However, only 21% of institutions in the survey reported that they have a formal program. Survey results highlight a significant gap between institutions recognizing the problem of textbook affordability and those taking action to implement change. 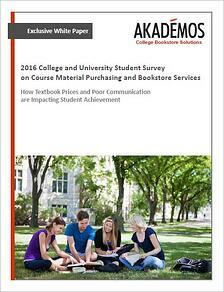 In 2013, Akademos conducted the first comprehensive survey of College and University Presidents, Provosts, and CAOs focusing on textbook delivery, costs, and bookstore services. 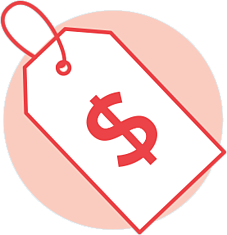 The just-released 2015 follow up survey reveals a rich set of data points, key trends and insight into the challenges and opportunities facing institutions regarding escalating textbook prices and their impact across all campus stakeholder groups. Textbook delivery and bookstore services have become a prominent issue for college and university CFOs, likely due in part to increasing attention to the rising cost of textbooks from students, their families, accreditation committees, and state governments. To better understand the scope of this issue, we are excited to release the results of our 2015 College CFO Survey on Textbook Delivery and Bookstore Services in this exclusive report. 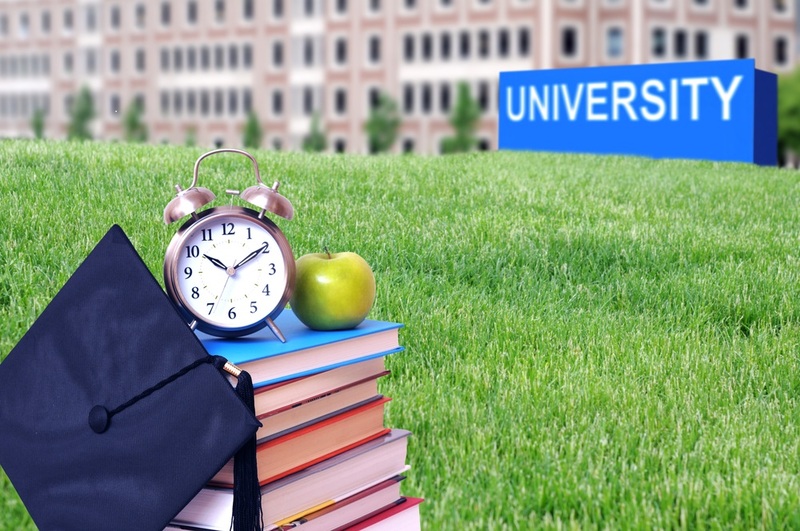 The focus on student retention and persistence is growing in importance to college administrators as they try to improve graduation rates and decrease the loss of tuition revenue from students that either drop out or transfer to another school. According to the U.S. Department of Education, Center for Education Statistics, only 50% of those who enter higher education actually earn a bachelors degree. The reasons range from family problems and loneliness to academic struggles — and as the total cost of eduction has increased in the US, so has student attrition. In the 2015 College CFO Survey on Textbook Affordability and Bookstore Services, we asked participants if the increasing prices of textbooks played a role in student persistence and retention on their campus.